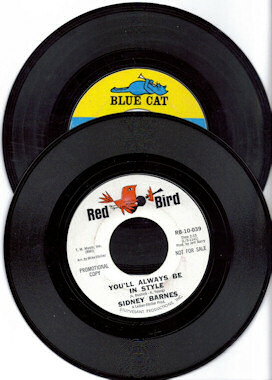 Sidney Barnes is regarded as a legend amongst Soul music enthusiasts, recording one of the all time classic tracks "I hurt On the other side" [Blue Cat records] and producing countless other top quality soul recordings including land mark tracks by J.J. Jackson [But it's alright], Billy Prophet [What can I do]. He also collaborated in the mid 60s, the golden era of Motown, with Detroit luminaries George Clinton and Mike Terry to form Geo-Si-Mik together producing some of the era's finest recordings. 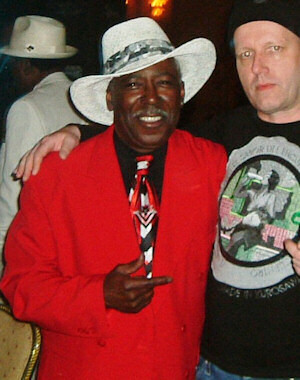 Pictured here in USA is the gentleman himself with DJ John Blach [you can read much more about Sidney on www.sidneybarnes.net.